Presented in a deluxe oversized edition with cloth spine. A whimsical and heartfelt fable about following your dreams that will appeal to fans of Antoine de Saint-Exupéry’s classic, "The Little Prince." 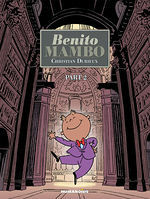 Benito dreams of becoming a mambo dancer. But his outraged billionaire father forbids the little boy’s dancing destiny and exiles him from the family home. 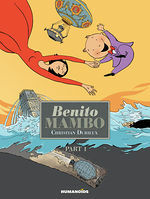 On the fantastical journey that follows, young Benito will meet a host of quirky characters, traverse the globe, and experience love and friendship. 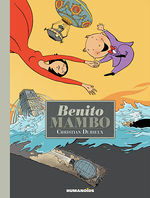 Benito Mambo is a great spring read and a comic that will you leaving smiling for the entire day.